Today we are proud to announce the public launch of the Velocity Network; a platform that we — CRV and General Catalyst — have built together to provide senior IT decision makers with access to the emerging technologies and leading companies shaping the tech landscape. Over the past year, our teams surveyed many of our portfolio companies and reflected on the additional ways we can support them. One common feedback theme was that the enterprises’ ability and willingness to buy directly from startups have been greatly reduced as they continue to be flooded by new products and startups at an unprecedented pace. Our portfolio company founders expressed a strong desire for a platform that provided access to NY-based customers, the home of many financial, retail, media, and broader Fortune 500 companies. We saw this as a unique opportunity to launch a differentiated platform in New York to add significant value to our portfolio companies and both of our firms over the long-term. The Velocity Network gives enterprise decision makers the opportunity to discover the most promising startups curated by theme, explore emerging trends, and discover and build community with peers who share the same challenges and successes within a private, professional network. Large enterprises are constantly seeking the best ideas and new technologies to bring into their organizations to help give themselves a competitive edge. Startups are the source of innovation and growth in the economy. We built the Velocity Network to connect these two groups through a series of theme-based sessions in New York City with provocative speakers, compelling product demos, and one-on-one meetings. 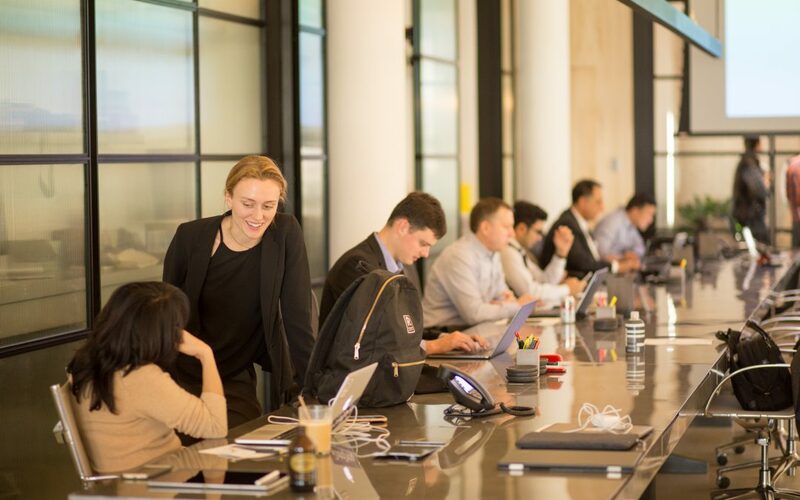 And, while there are existing programs that bring enterprise customers out west, we are excited to bring emerging innovation to the enterprises, many of which are based in or near New York City. So far, the Velocity Network is off to a strong start with enterprise members spanning across every major industry — finance, banking, media, technology, online, digital, telecommunications, retail, insurance — and member positions ranging from CIO, CTO, CMO, and CDO to Senior IT Executives and Managers. Enterprise members represent organizations with revenues exceeding $1 billion, or are high-growth, well-known digital businesses. Participating startups are not limited to the CRV and General Catalyst portfolios. They just need to exhibit traction with enterprise customers or demonstrate they are at the forefront of a new technology wave that will bring new capabilities to enterprise customers. We’ve covered some terrific ground over the last several months with themes ranging from data analytics to cybersecurity to IT infrastructure, showcasing high-growth companies from the CRV and General Catalyst portfolios providing innovative solutions. We are thrilled to share the Velocity Network with our combined portfolio of companies and the enterprise community. We are convinced that together we will build a stronger, more powerful network through collaboration with each other and with time, with other institutions. More information is available on the homepage of the Velocity Network website (velocitynet.com), along with membership applications for startups and invitation requests for enterprises.